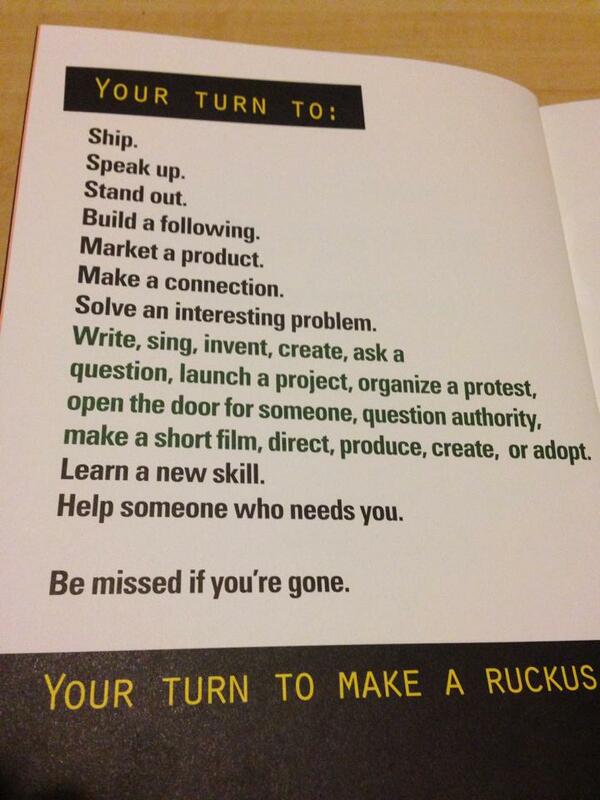 I finally got my copies of Seth Godin’s new book – What to do when it’s your turn – today, and it’s so interesting that I immediately jumped into it. I find particularly interesting his story on “being stuck on a broken escalator”. While it seems obvious what the folks above should do, the reality is that many of us are indeed stuck on life’s broken escalators, unable to see that all we have to do is walk right off the escalator. Just turn the broken escalator of your life into stairs that get you where you need to get to in life instead of waiting for someone to rescue you or fix the escalator. The stairs may not be as convenient as a working escalator, but it gets the job done and beats being stuck in a spot!Ask yourself today, which of life’s escalators am I stuck on? What is stopping me from using the stairs, no matter how inconvenient to get to where I need to get to? 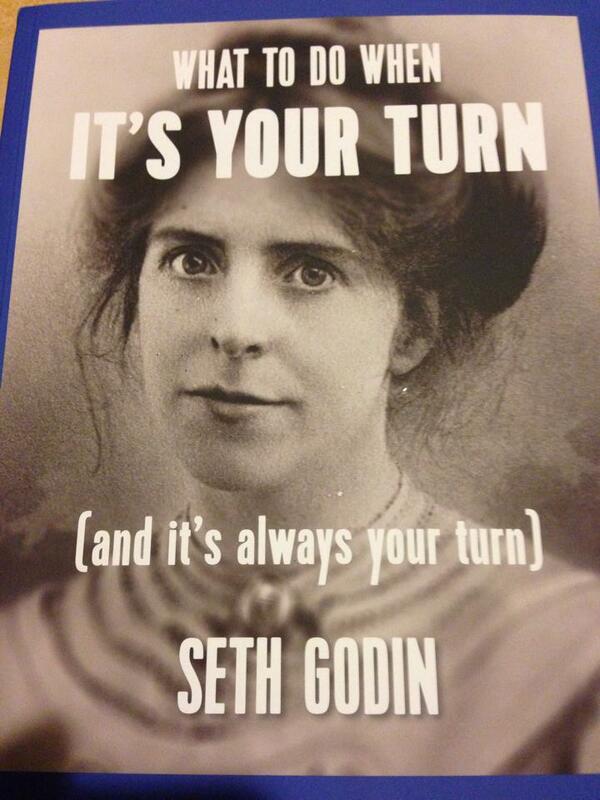 It’s ‪#‎yourturn‬. It’s always your turn. To act. This entry was posted in advertising, branding, communication, Motivational and tagged challenge, escalator, i cant breathe, inspiration, motivation, seth godin. Bookmark the permalink.